Marcel Mauss’s 1925 essay The Gift is an enduring classic of sociological and anthropological analysis by a thinker who is one of the founding fathers of modern anthropology. 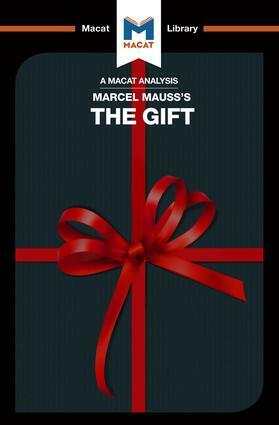 The Gift exploits Mauss’s high-level analytical and interpretative skills to produce a brilliant investigation of the forms, meanings, and structures of gift-giving across a range of societies. Mauss, along with many others, had noted that in a wide range of societies – especially those without monetary exchange or legal structures – gift-giving and receiving was carried out according to strict customs and unwritten laws. What he sought to do in The Gift was to analyse the structures that governed how and when gifts were given, received, and reciprocated in order to grasp what implicit and unspoken reasons governed these structures. He also wanted to apply his interpretative skills to asking what such exchanges meant, in order to explore the implications his analysis might have for modern, western cultures. In Mauss’s investigations, it became clear that gift-giving is, in many cultures, a crucial structural force, binding people together in a web of reciprocal commitments generated by the laws of gifting. Indeed, he concluded, gifts can be seen as the ‘glue’ of society..